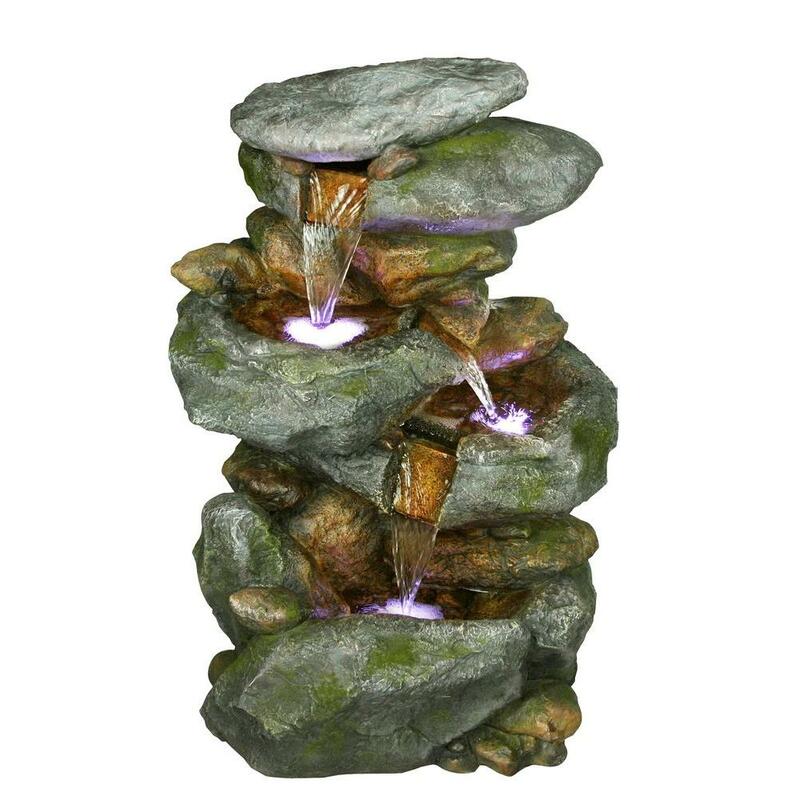 Made from a tough, durable resin, these decorative fountains can withstand the harshest tempatures for years of enjoyment. Lightweight construction allows easy placement and movement. These water fountains contain everything you need simply fill with water and plug in. Copper Dripper/Fountain Hummingbird. Electric Pump only. Depth of water in bath for the fountain to operate at its best is approximately 3 inches. 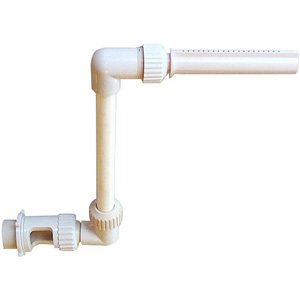 The minimum height of the water level for the pump to continue to work is approximately 2 inches. 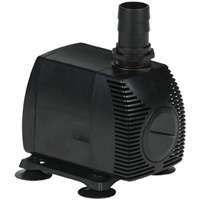 The dimension height from the metal base plate to the bottom of the circulating pump is approximately 3 inches. There is not a safety shut off if the water should go down too far to function. Bird bath sold separately. Is compatible with item ANCIENT955. 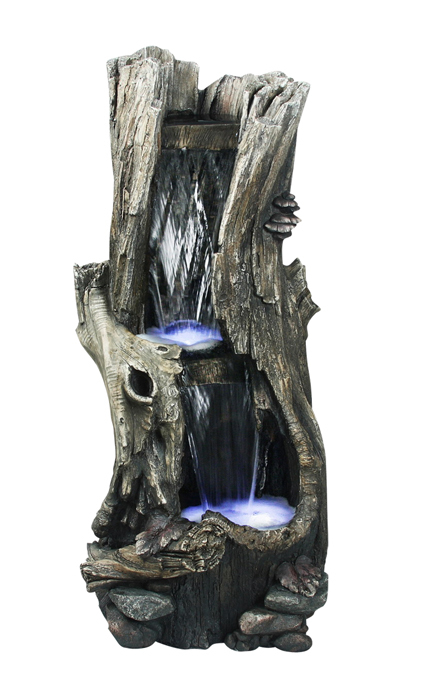 Fountain dimensions are 13 inches tall and 7 inches wide. 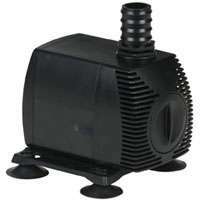 Low-watt, energy efficient floating pond deicer is perfect for small ponds. 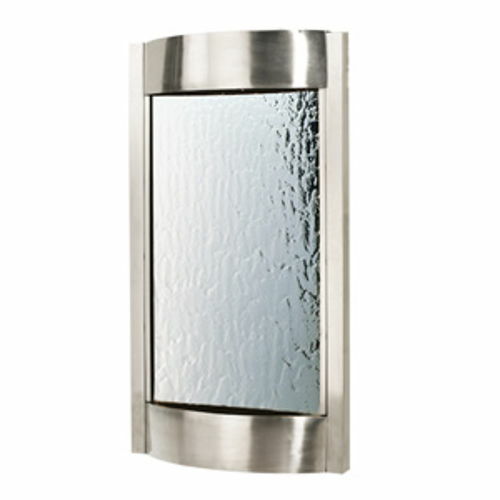 Low profile design minimizes wind resistance. Comes with 10 foot cord. 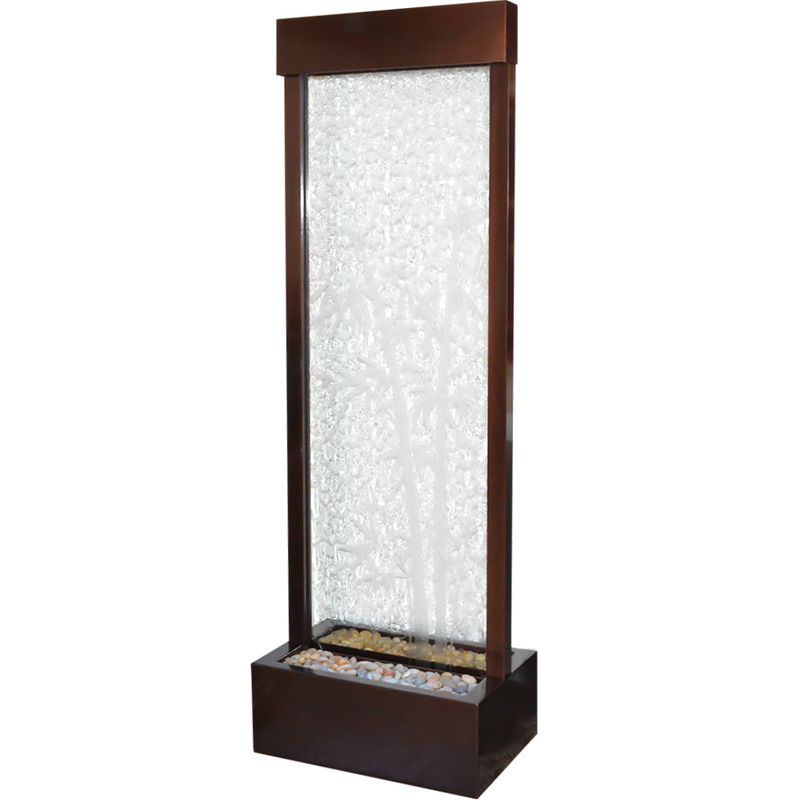 72" Floor fountain with center mount bamboo etched. Enhance your surroundings with the Gardenfall. 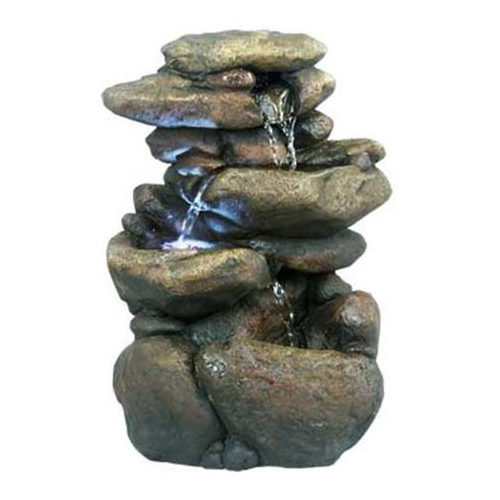 The water flowing passed polished river rock creates a mood of serenity as it humidifies and cleanses the air, promoting a healthier living environment. Model GF62B features a glass-etched bamboo design and dark copper frame, which makes a stunning focal point in any garden or interior space. Durable materials and quiet operation make the Gardenfall a wonderful addition, indoors or out. 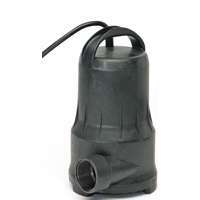 Fountain/Pond Protector 16 oz. 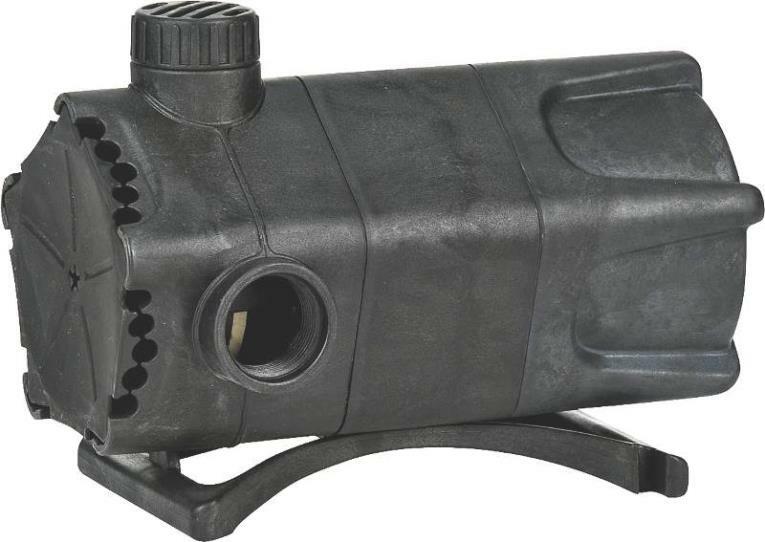 Fountain/Pond Protector 16 oz. 72" Floor Fountain. Clear Glass/Center Mounted- Black Onyx Frame. 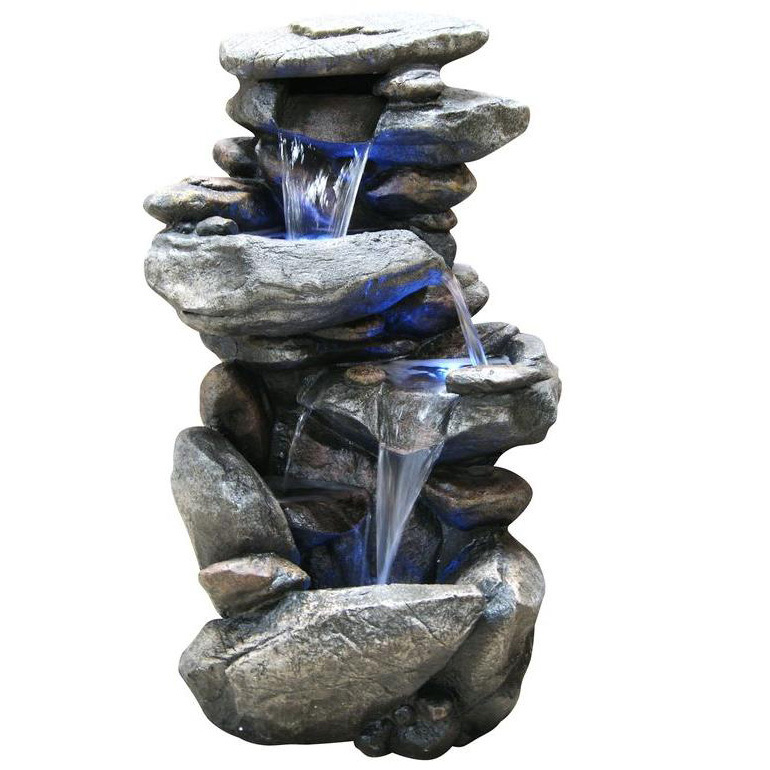 With the Gardenfall, it's easy to enjoy the soothing sights and sounds of water falling gently passed polished river rock year-round. Designed for today's decors, its clean, contemporary design enriches any space, while its humidifying and air-cleansing properties promote a healthier living environment. Model GF6BG features a clear glass surface and black frame. 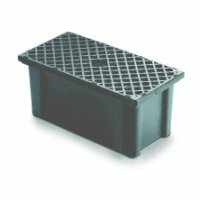 Quiet operation and durable materials make the Gardenfall suitable for both indoor and outdoor use. 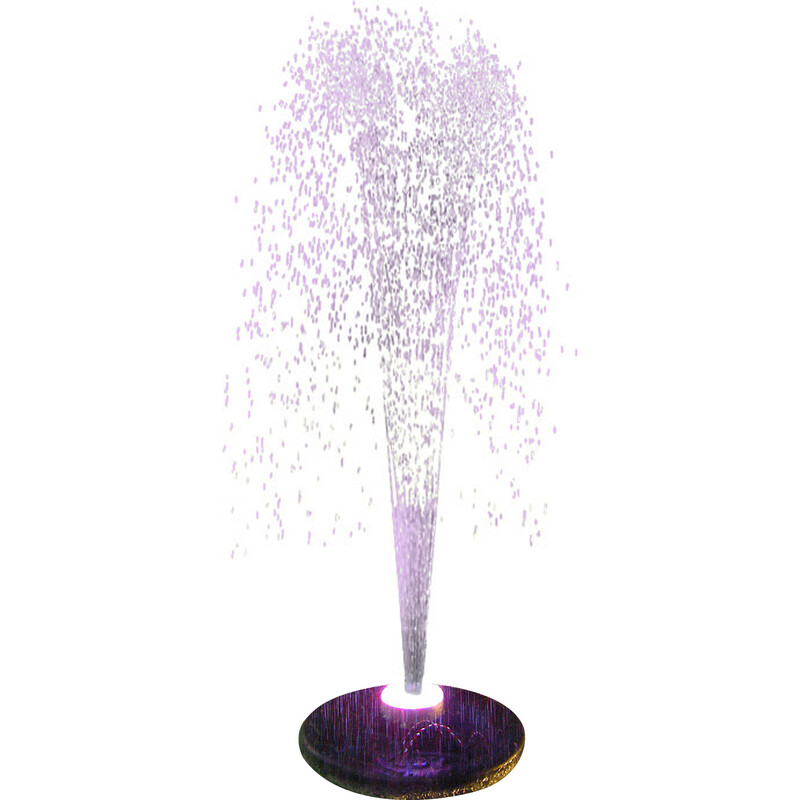 Solar Lily Fountain floats in pond and sprays water when in direct sunlight. Lily is made from EVA foam so it moves with the water. 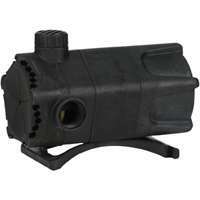 Includes 3 spray nozzles for varying spray pattern and height. Height of spray will vary with intensity of sun. Operates in direct sunlight. This floating spray fountain sprays water into the air creating a soothing sight and a relaxing atmosphere, adding vitality to an ordinary landscape. 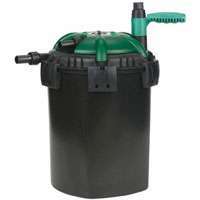 Use it to liven up a pond or pool, a definite conversational piece to make any home event a success. Just place in pool or pond and watch the attraction. Includes 48 LED lights with red, white and blue changing color. 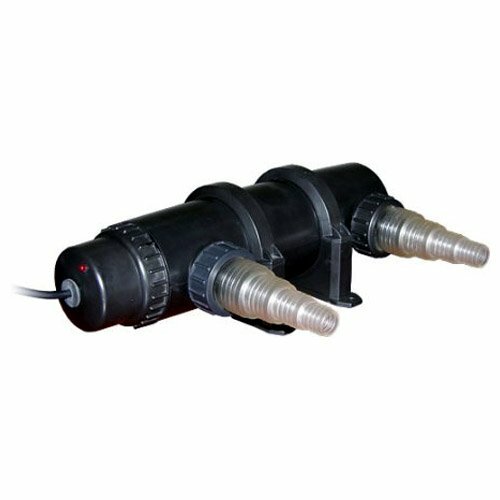 Our ultra violet water clarifier kills suspended algae with UV light. 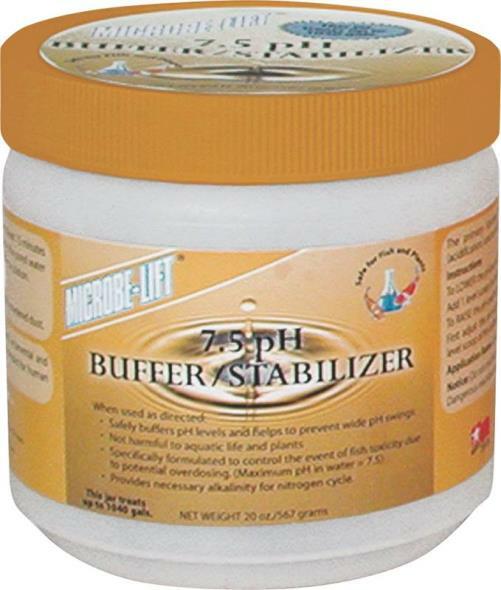 This easy to use clarifier ensures 100% clarity. 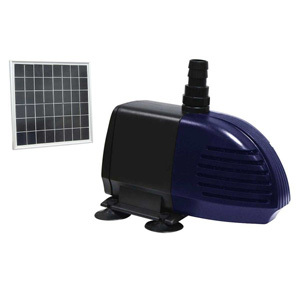 As water passes through, the rays of an ultra-violet lamp, that is located inside each unit, eliminates green water by making the algae clump together so it can be removed by pond filters. 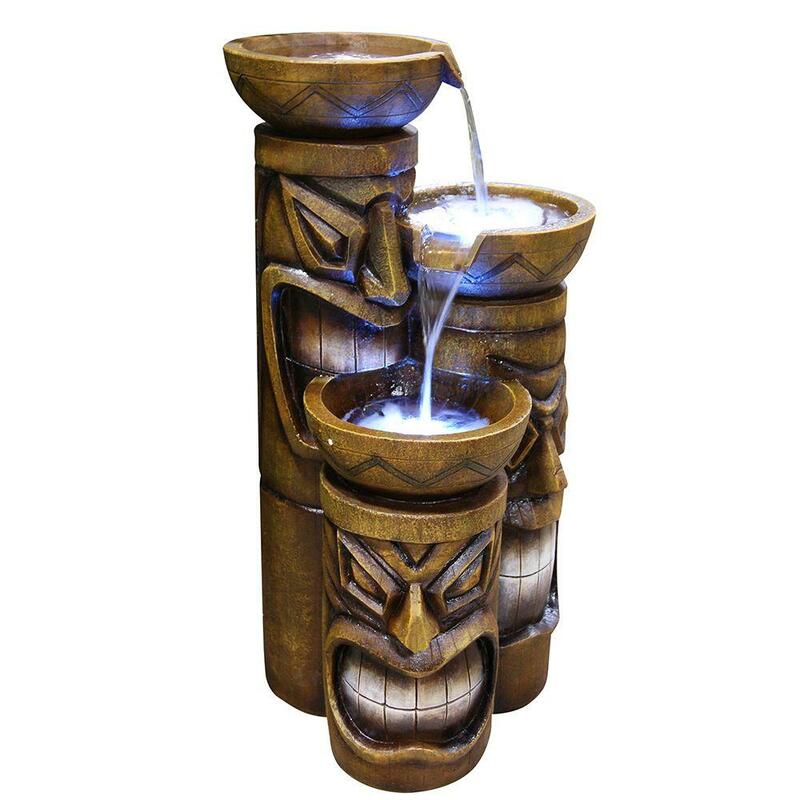 These three tikis come together to form a fun water feature with a tropical twist. 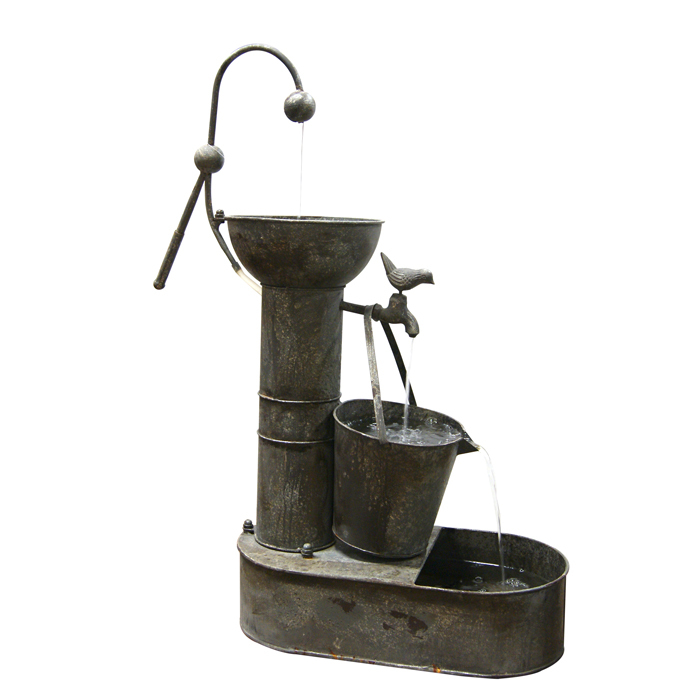 Bold expressions and high quality design make this indoor or outdoor fountain a great choice. Three large bowls sit atop the head of each tiki statue in order to collect water. Each bowl has LED lights under the water, and once filled, water will flow from one to the next. 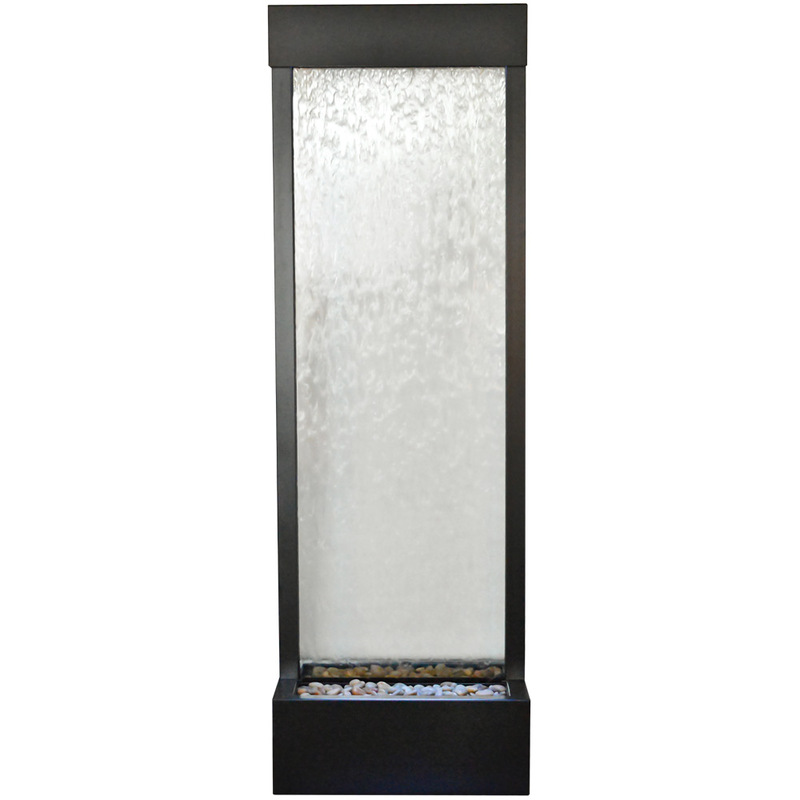 These fountains bring some wonderful rain accent to your indoor/outdoor space. 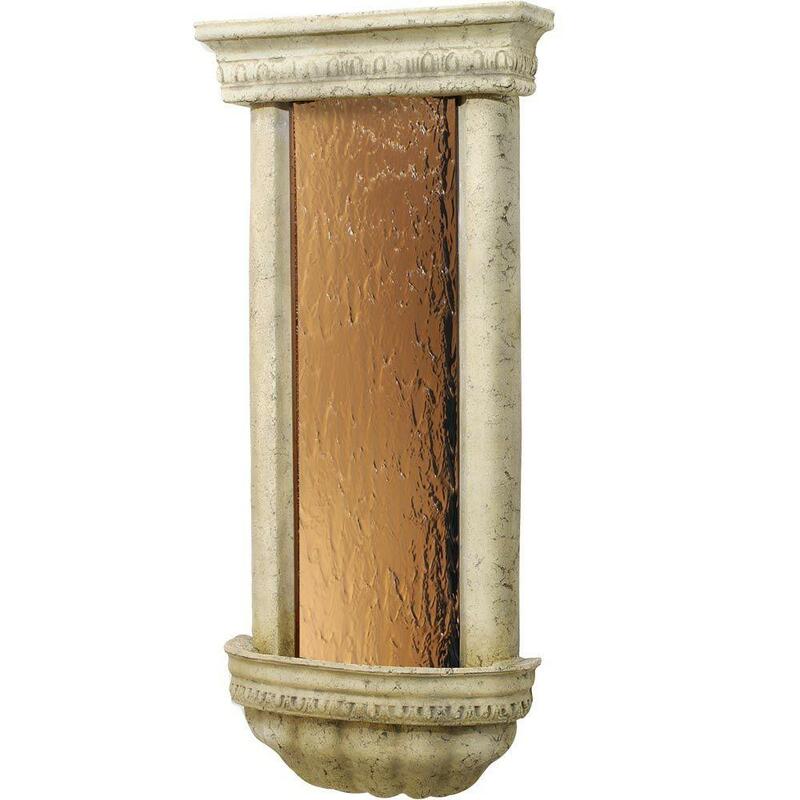 Each fountain is an original with its own distinctive shading, coloring and texture. 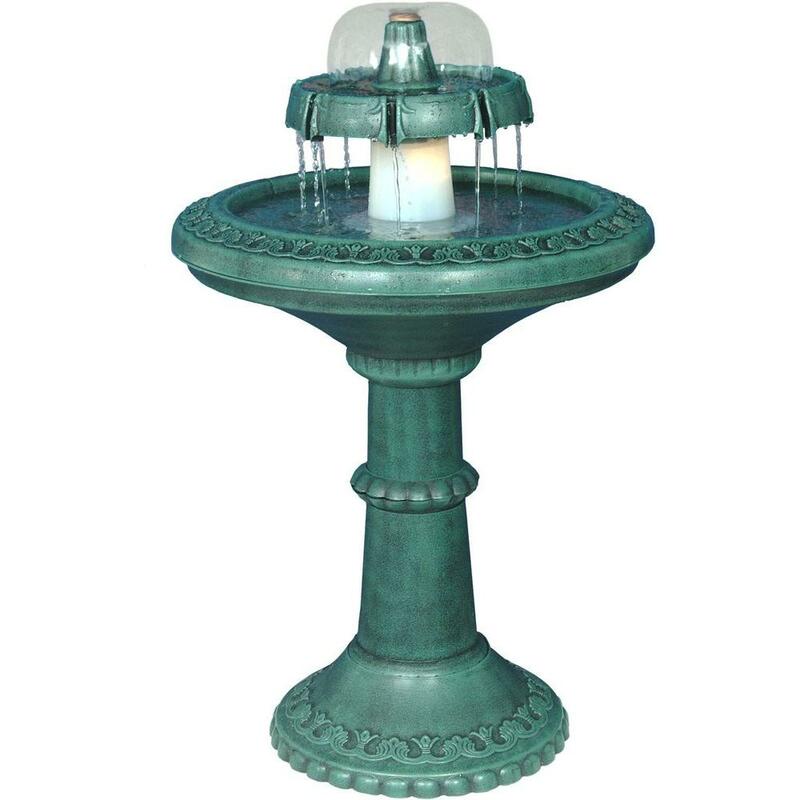 Made of lightweight, durable fiberglass, these fountains are ideal for patio and landscape settings.